It's an extremely difficult exercise to review a movie that has only recently been released, that not everyone has seen yet, and that has so many secrets and spoilers that can't be mentioned so as not to ruin the film for everyone reading your blog... The two mini-reviews below are hopefully totally spoiler free and simply a quick guide as to whether I think these films are good or not. I haven't reviewed anything in a while and I no longer have the time to do in-depth reviews, so I'll be doing short reviews for films and games using a new, brief Q&A format below, including the odd thought or note before it too. Remember you can always post on the Facebook page to ask questions or disagree with me should you feel the need! Would a non-fanboy/fangirl enjoy it too? - Yes I think so, but some may find it difficult to stomach if they don't like flying robot suits etc! What words would you use to describe this film? - Action-packed, twisty, girl power, goosebumps, finality, long. What was your favourite moment or moments in the movie? - Quite a few, but the twist, Pepper girl-power, and the multi-armour moments were great for me. Would you have changed anything if you could? - I wasn't too hot on Tony's panic attack scenes, I still wish Terence Howard was Rhodey, and the ending moments seemed a little out of character and non canon to the source material and the future of the franchise for me. What score would you give the movie out of 10, 10 being the best and 0 being the worst? - 7/10 Great movie, just a few tweaks needed to be perfect. The 2009 Star Trek reboot movie directed by JJ. Abrams in one of my favourite films of all time, and that's saying something from a geek like me. The visuals were beautiful, the soundtrack was amazing, and the casting was spot-on for the most part. There was no doubt in my mind that any sequel that followed would become yet another firm favourite of mine and I can now safely say that this is indeed the case. It's extremely difficult and dangerous to write a review of this film without releasing major plot points yet again, so I can only really say that if you're an avid Star Trek fan you are simply going to love this film. You may even cry a little, if not once then numerous times throughout the film, for exciting moments and of course sad ones. The acting and the action is superb and even if you stood the film to one side of it being a Star Trek movie it would still stand up as an excellent action/sci-fi outing. Non fans won't get the references, the well-known phrases, the alternate timeline/universe slants on previous Trek movies or TV show scenes, but pure Trekkers will have goosebumps and "YES!" moments throughout. It's a truly beautiful film with moments of sheer greatness multiplied heavily by the twisty yet familiar story and astounding performances, especially from Chris Pine playing Kirk once again. I saw this in 3D, but I prefer 2D myself and I think about half way through you'll feel as if you don't really need to be watching it in 3D to enjoy it. I have to admit that the close up shots of Chris Pine and Benedict Cumberbatch's faces seem to be ingrained into my brain and burnt into my eyeballs somehow since leaving the cinema for some reason! You will however leave the cinema feeling full no matter how to view it, like leaving a fantastic and expensive restaurant after an amazing meal with good friends. You'll feel satiated and happy on a level only a true geek really can. As you can tell I loved it! First off, is this film good or bad? - Very, very good! Would a non-fanboy/fangirl enjoy it too? - Yes, but you need to be a Trek fan to get 110% enjoyment out of this. If this is a sequel do you need to have seen the other films in the franchise? - Yes, and I would always recommend the original 2009 one anyway! What words would you use to describe this film? - Beautiful, action-packed, twisty, tear-inducing, epic, nostalgic. What was your favourite moment or moments in the movie? - Truly too many to mention accurately, but if you see it yourself you'll no doubt love the same teary twisty moment that I did near the end too! What score would you give the movie out of 10, 10 being the best and 0 being the worst? - 10/10 Truly an enjoyable and well made movie that has to be seen twice in the cinema and then at least every week at least on Blu-ray once it's been released! Finally, a great summer movie. At last. 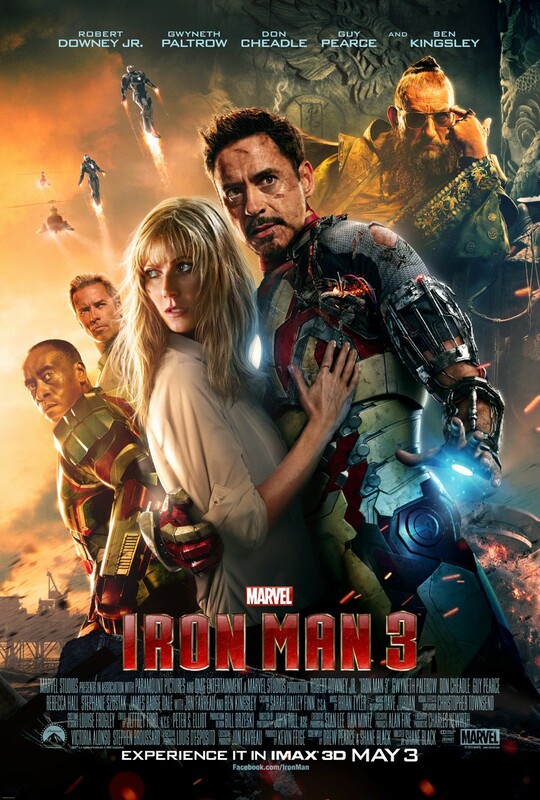 This movie is better than Iron man 3 because it has a strong negative role played by Benedict Cumberbatch. He steals the show. His acting is superb. Not good to watch this movie in 3D. Movie is action packed. Never a dull moment. But, the ending of the movie leaves us expecting more. 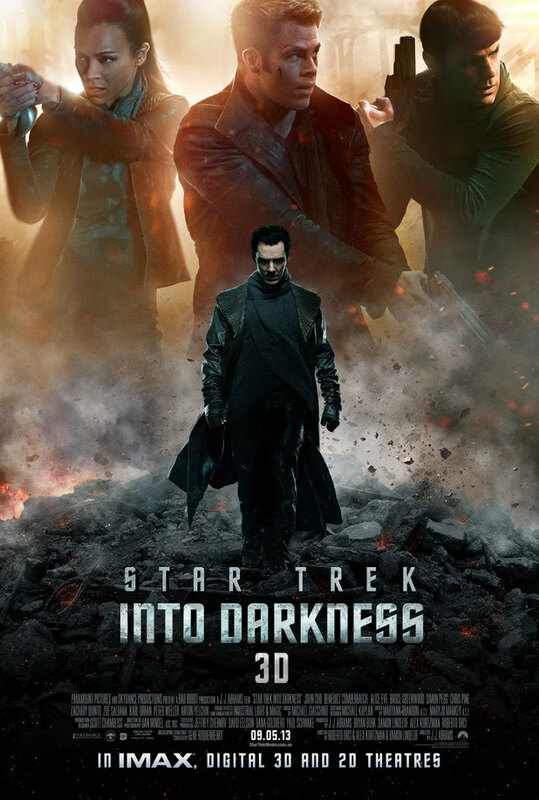 I'm sure we'll see Khan back again in upcoming star trek movies. The only this the movie doesn't have is a motive for the villain. A movie worth watching. Star trek fans may not like it as much as others may like it. The Bromance between Kirk and Spock is in abundance, which is illogically logical. Just one more thing. "Live long & Prosper"